I am totally satisfied with the RV Cover that you sent. I was delivered promptly after I ordered it. Yes I would recommend this product to others and I already have. 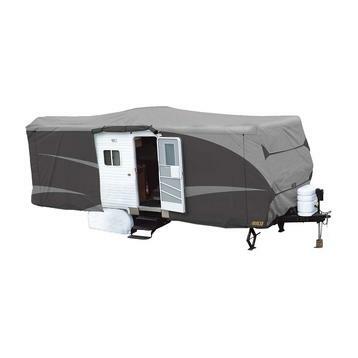 The only glitch in the RV Cover is it was a bit to long, but that did not hamper the product for me. I would recommend you to others. Easy ordering and competitive pricing. Only issue we had was figuring out what was inside or outside. Turned out it was packed so what was suppose to be facing out was on the wrong side so when we got it on top of the coach we had to flip the whole thing over.